New Plots released on this AWARD WINNING development. The Elizabeth is a three storey, three bedroom townhouse. With integral garage, open plan kitchen/dining/family room, seperate lounge, three double bedrooms, bathroom and Ensuite. The property is finished to ho high quality throughout witht he fully fitted kitchen including oven, hob, microwave, integrated fridge freezer and dishwasher. The bathrooms and ensuites comprise fully tiled floor and walls with large profile high quality porcelain tiles, concelled wc, wall hung sink, low profile showers and chrome fittings. Welcoming in spirit and designed with care, every property within Barnes Village shows great attention to detail and a high standard of finish. The Elizabeth is a three-storey terraced house, with front and rear gardens and garage. 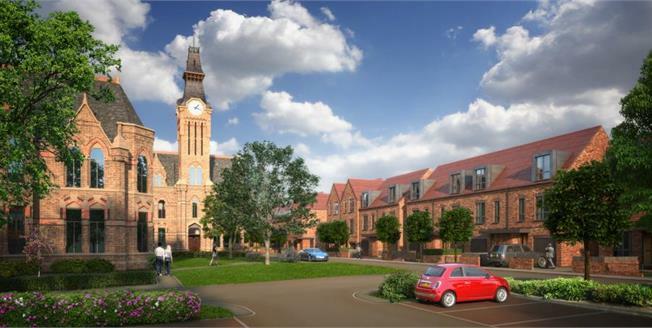 Situated in charming, picturesque grounds of approximately 17 acres, this development consists of 39 historic apartments and townhouses, surrounded by 117 sympathetically designed new homes. Barnes Village: a classic quarter for contemporary living.